Posted on: August 19, 2015 By: Christopher Brown, Esq. There are a significant number of serious injuries, and even fatalities, that occur in the U.S. every year due to slip-and-fall accidents that falls under the category of premises liability. 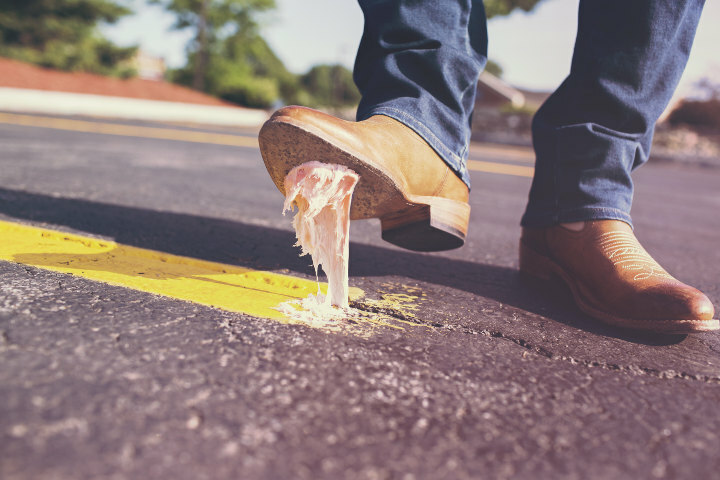 Common causes for these accidents include such hazards as wet, slippery floors, defective staircases, patches of snow and ice, or ditches and uneven ground surfaces. When a slip-and-fall accident befalls you while on another person’s property, it is an immediate concern to establish who is responsible for the fall. Sometimes, the property owner will be at fault, but in many other instances, he will be free of all liability. To learn more about common types of slip and fall accidents, review our information article, Types of Premises Liability Cases. When injured on another’s premises, you should, first of all, consider that it is normal and to be expected that objects will fall to the ground and liquids will pour down onto a floor. It is simply a part of life that walking surfaces will, sometimes, be uneven. Furthermore, things like gutter extensions, drainage grates, and sprinkler systems are intended to be on ground level. Thus, a property owner cannot be expected to always, and within a moment’s time, rush out to clean off slippery surfaces or pick up every falling object. If it was normal for the object tripped over to be where it was or, if the average person could reasonably be expected to see it and avoid it, the owner cannot be held responsible. It is true that we all have an obligation to pay attention to where we plant our next step, but those who own property also have an obligation to keep it in a reasonably safe condition. There is no precise legal formula for determining who is liable for slip-and-fall accidents, but these sorts of cases hinge on who did or did not exercise due diligence and care. The property owner needs to have taken care to make an accident unlikely. The person walking on his property needs to have taken care to see and avert any dangers that might come into his path. The owner or one in his employ created the hazard, be it a spill, rough surface, or obstacle in a walking path. The owner or his employee knew of the danger, even if he did not create it, and did nothing to correct it. The owner or his employee may not have known of the hazard, but anyone taking reasonable care of their property would have known of it. Of the three situations listed above, the last is easily the most common. It is also, however, the most difficult to establish in a court of law. Only a common-sense assessment of whether the property owner took “reasonable” care of his property can reveal whether or not he “should have known” of an existing danger. As a claim that the property owner was negligent and is, therefore, liable typically hangs on whether or not he performed all “reasonable” preventative measures, the definition of “reasonable” becomes of great importance. In general, the law asks if the property’s owner took pains to keep his premises safe and clean and if those efforts were done on a regular basis and in a thorough manner. Some questions you can ask yourself to decide if the property owner is likely liable for your injury will be given below. Keep in mind that these questions must be answered by a judge and jury to legally establish blame, but you can do an “initial assessment” on your own right now. Maybe you tripped over a torn piece of carpet, on a slippery floor surface, or on an obstructing object. If so, had the problem existed long enough that the owner should have seen it and fixed it? Did the owner conduct regular maintenance and repairs? If so, can he or she prove this? Did you trip over an obstruction left on the ground or floor? If so, was there a legitimate purpose of its being there? If there was originally, had that purpose ceased to exist? Could any obstructing object have been better located or better positioned to increase safety levels without any major inconvenience to the property owner? If a basic barrier had been erected and a warning sign posted, could the danger level have been significantly reduced? Did a lack of adequate lighting cause the accident scene to be a more dangerous place? If any of these questions are answered in a way that reflects negatively on the property owner, you may have legitimate grounds for compensation. However, you will still have to show that your own lack of carefulness was not a major factor in the accident’s occurrence. In many cases, a slip-and-fall claim will be challenged on the basis of comparative negligence. If you are found to have been careless in regard to where you went, when you went there, and how you conducted yourself, your claim could be diminished or eliminated. You may as well ask yourself the following questions because your insurance company or the property owner’s defense attorney almost certainly will. Did you have a good reason for being in the danger zone, and did the owner have any reason to expect you would be there? Was the danger obvious enough that a “reasonably careful” person would have avoided it? Were there warning signs that should have kept you away from the dangerous area? Were you distracted or recklessly running and jumping? Knowing the true facts about slip-and-fall accident claims can help you in two ways. It can help you avoid making a claim you can’t win, and it can help you to know your rights and secure just compensation for all legitimate claims. Because of the complexity of Virginia statute, it is highly recommended that you consult with a qualified personal injury lawyer before proceeding. Deciding if you should pursue a claim for a slip and fall accident is a serious decision. The experienced litigators at The Brown Firm PLLC are able to discuss your case with you so that you understand your options before proceeding. To discuss your case, call or contact The Brown Firm PLLC online and schedule a free consultation.